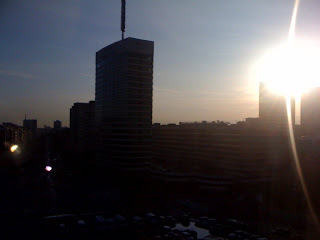 GridCast: live and behind the scenes of grid computing: Good Morning Barcelona! Greetings from the beginning of EGEE09 in Barcelona, where the day started with sunny blue skies and bright sun. This is my first EGEE conference since EGEEE 06 and it nice to see so many new and old faces here. This week I will be talking to people about the ARC middleware, which interoperates with EGEE's gLite, about EMI which should unite European middleware development, and in general about the future of Grids. I hope the many Gridcast readers enjoy my posts, and I look forward to reading the contributions from my fellow bloggers!